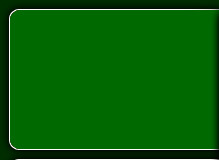 ​All lead-acid batteries are properly removed and managed as part of the dismantling procedure and/or prior to crushing the vehicles. Spent lead-acid batteries are stored inside. 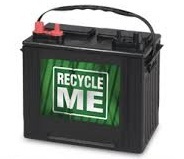 Spent lead-acid batteries are recycled through a reputable battery recycler. Spent lead-acid batteries contain lead and corrosive acids that are considered hazardous wastes that can contaminate soil and groundwater and, therefore, cannot be disposed of at any Iowa landfill. Batteries should be managed in a way that prevents release of the acid to the environment. Spent lead acid batteries are exempt from hazardous waste regulations if they are recycled, but the waste generator is still responsible for contamination caused by batteries transported off site as well as stored on site. 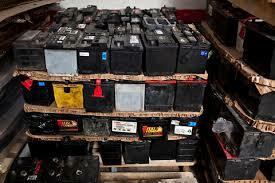 Spent lead acid batteries do not need to be included in the facility’s hazardous waste generation total. 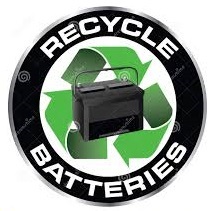 Batteries should be stored safely and only reputable recyclers should be used. 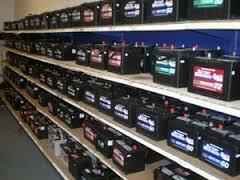 New and used batteries should be stored in a safe manner to prevent leaks and subsequent ground contamination. Indoor storage on an acid-resistant rack or tub is preferable. 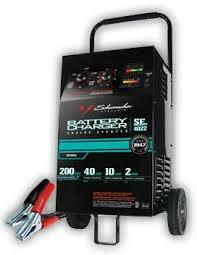 Batteries stored outdoors should be stored on an impermeable surface such as concrete with secondary containment, and sheltered from rain to prevent acid run-off. To further prevent pollution, keep a neutralizing agent such as baking soda nearby in case of a spill, do not stack batteries more than three high since that may cause them to fall and crack, and store batteries and battery acid away from flammable liquids, ignition sources and drains. Keep receipts including the name and location of the recycler, number of batteries sent and the date.